Good morning beautiful ones, good sunshiny morning! Yes, let’s start this Friday with sunsine, shall we?! Although temperatures are still not very high in the Netherlands, there’s the promise of Spring in the air, Spring’s on my dining table (Narcissus ‘Tête-a-Tête’ in a flower pot) and the promise that the weather-man made on television “expect higher temperatures in the weekend.” So what’s not to like on this day then eh?! 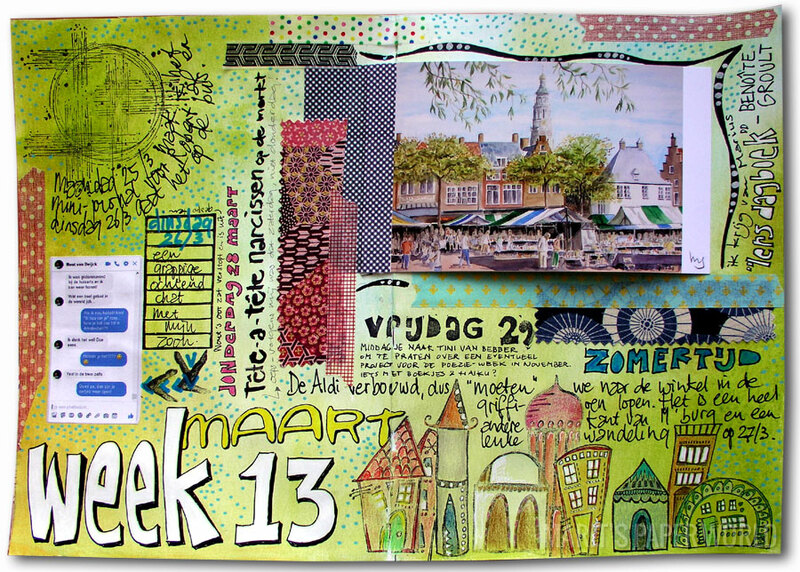 The little houses on the bottom of the page are stamps from Jessica Sporn Designs, which I coloured with pencils. The postcard shows a watercolor painting (the market place in Middelburg) from Maurits Schoenmaker – a regional artist. My mum send the card to congratulate us with ‘one year living in the city centre’ – yes, we moved to this apartment a year ago, time flies. I wish you a sunny, happy, yellow and green weekend! 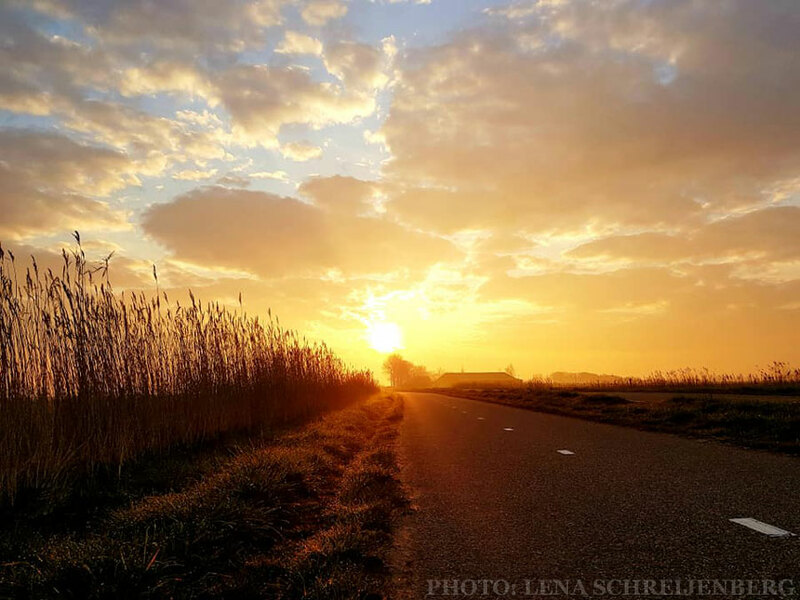 I love this golden morning that you have shared with us, Marit! It is another grey and wet morning here, so this sunshine and your haiku are most welcome. I recognize the market in Middleburg in your wonderful journal. I love seeing your pages come to life! Thank you! Your Haiku is very visual Marit and your artwork lovely. Our long hot summer is nearly over and we are enjoying the cool Autumn days now. I love early morning walks myself. Thanks for this delicious haiku! a baptism of light in your glorious haiku! thank you for your healing kind and caring thoughts.